For those who have had the unfortunate of experience of dealing with a flooded basement, you know it’s not fun. It’s a stressful situation, and repairing the damage can be costly. If you ever find yourself with a basement that is flooding, make sure you follow these tips and tricks to limit the damage. 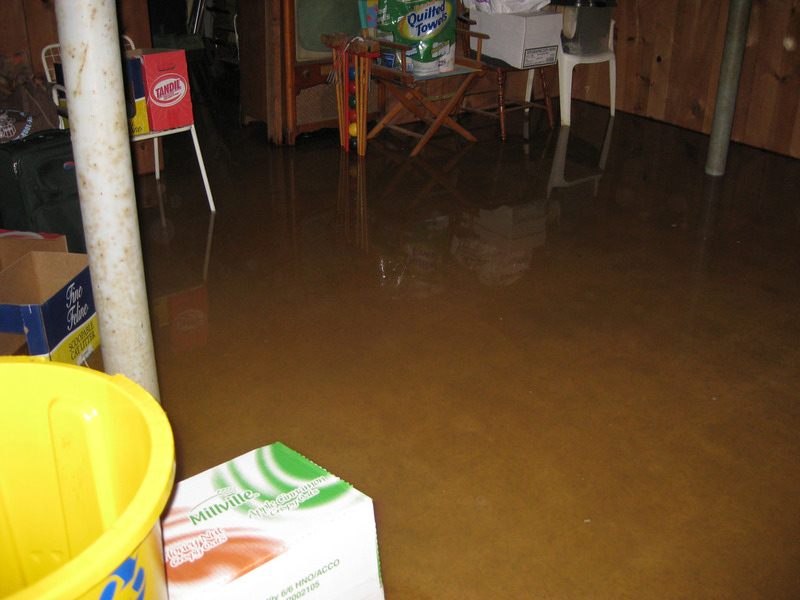 But before we get to those, let’s first discuss some common causes of basement floodings. In many instances, a home constructed on property that is sloped may see some basement flooding. The sloped terrain will invite water to drain towards the bottom of the slant, so if your home is built lower down on the slope, it can flood frequently. Over the course of time, these slopes will be smoothed out and leveled by the elements, which will effectively solve this problem. A blocked gutter system is never good, especially when it comes to basements flooding. If the manifold is connected to your home and the sewer system becomes backed up, then flooding of your property is a likely result. If you notice that this has occurred, then call the local authorities ASAP. Otherwise, the water levels will rise fast, and the likelihood of a disaster in your basement is more likely. As with many issues that plague homes — like flooding — they can be deterred through smart and quality home construction. If the basement tiles and walls are not properly sealed, then all it might take is a heavy rain to see some flooding. If this is what is causing your basement to flood, contact a contractor to fix it. Another problem that is easily avoidable by constructing the home well. If the drainage system is not installed correctly, however, it can cause serious flooding. The downspouts of your drainage system should be far away from your home so that the water can’t sneak it’s way back towards your home. But, it should also be far away from your neighbors home as well. If your drainage system wasn’t put in right the first time, you might have to pay a large amount to fix it. Your first act should be turning off all the power in the flood-affected area, as you should never walk into a flooded basement before shutting the power off. If the water is from rain or flooding, then you should wait until the storm has passed before you try and remedy the situation. If the cause is something else, then start working immediately. Wear boots and gloves for protection and a wader if possible. Start investigating the flooded area and see if you can find out where the water is entering the basement. Shut off the water in the basement if you find it is a burst pipe. Otherwise, things may get a whole lot worse…and fast. Also, if you have a floor drain in your basement, check to ensure it isn’t backed up and clogged. A functioning drain will help get rid of the water. When it comes to your weapon of choice for getting rid of the standing water, you can use a pool pump, wet/dry vacuum, mop, and bucket, or a sump pump. How much water you have in your basement will ultimately decide which tool you’ll use to remove it. After removing most of the water, you can get whatever is left with sponges. Take any damaged items and place them in a well-ventilated area to dry. Avoid contact with lamps, televisions, or anything else that uses electricity until you have disconnected the power. Unfortunately, you may have to rip out carpeting if the flooding is too extensive. If you leave your carpet, it can keep the floor underneath from drying. A restoration specialist can actually help with drying your carpet. 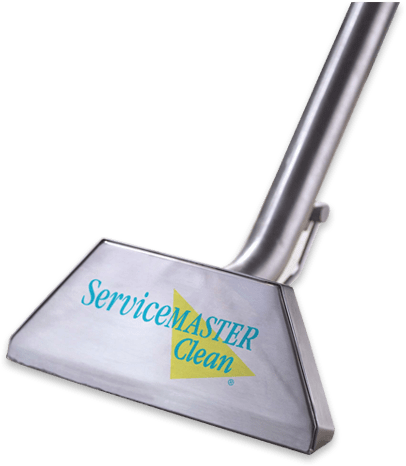 Contact ServiceMaster today for all your home restoration needs. If you don’t dry out the carpet properly, you’ll risk the buildup of mold and mildew. You’ll need to allow several days for your basement to dry. To create ventilation, open doors and windows (weather permitting), and use as many fans as possible to increase the drying time. A dehumidifier will also help here. When the floor and walls are dry, use an anti-mildew spray to avoid mold from developing. Here at ServiceMaster, we are committed to helping you regain your sense of normalcy after a flooded basement. When unfortunate incidents like flooding occur, the only thing you want is to get things back to normal. That’s where we come in. Our team of expert restorationists will have your home back to the way it used to be in no time. Call 612-354-5466 to reach our Emergency Service team.